Paul is delighted with the encouragement and family feel of Hopelands Preparatory school for his daughter Poppy who started in Fox Cubs (Reception class), age 4. Why did you choose Hopelands Preparatory school? “All of our choices for state schools were unfortunately declined. Poppy was very quiet in her younger years and the only option we had available was with a large school which would have been too daunting for her. Having visited public schools in the area, Hopelands stood out for me. 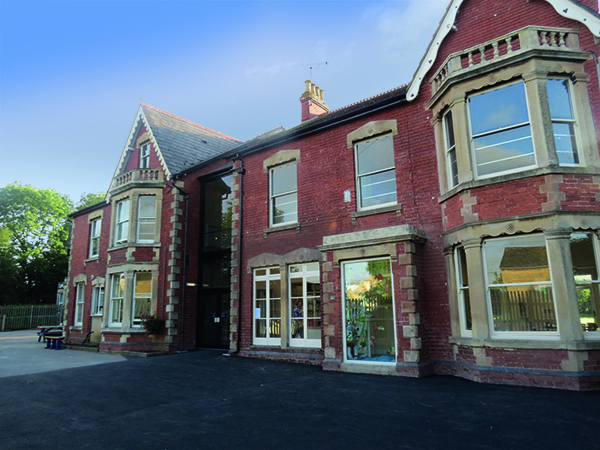 The school is perfect in terms of size and the first impression had a very positive effect. All the children seemed so happy and the teachers were all so welcoming. What I really liked about Hopelands is the fact that everybody was so down to earth. There is no pretentiousness at all and as a parent wanting the very best for my child, the school just ticked all of the boxes”. Hopelands Preparatory school averages 12 pupils per class and therefore we can focus on the children as individuals and ensure they all reach their full potential. Paul commented “I was encouraged to see that the classes are very small. It was comforting and reassuring to know that Poppy would always have ample time from the teachers to help her learn and develop”. Poppy was a very quiet in her younger years and Paul recognised that Hopelands would be the ideal environment to help Poppy flourish “What really stands out for me is the family feel to the school. Being a small school, the pupils of all ages interact with each other and all seem to get on so well. I have confidence that Poppy is not only looked after by the teachers at Hopelands but also by her friends around her. I’ve seen nothing quite like it and I’m so grateful for Poppy’s happiness”. When children start school at 4 they can sometimes be shy and worried about the new environment they are entering so we work on building resilience and our happy environment promotes positive attitudes in every child, so they feel able to take risks and become more confident. “The reason for choosing Hopelands was due to Poppy being so quiet and timid. When she joined Hopelands in the Fox Cubs year, her new friends and amazing teachers could develop her trust and confidence very quickly. Within no time, Poppy was standing up and presenting confidently during activities such as show and tell. Poppy now oozes confidence and has such a lovely connection with all the children. I never thought I would see the day when a child would say she was missing school during the holidays! Hopelands has certainly had a wonderful impact on Poppy and she is also proving to be a very bright child”. Paul said that Poppy’s proving to be a bright child, and this is evident throughout the school where it thrives to achieve academic excellence. “I feel the school is unique. It has a personality of its own which is so friendly, nurturing and accommodating. It’s also apparent that the children love spending time there and the success pass rate for 11+ is testimony to this. In 2017 (for September 2018 start) 100% of Hopelands pupils passed the 11+ entrance exam. If that doesn’t motivate you towards booking a tour of the school, nothing will!”. What advice would you give a prospective parent? “I would firstly suggest that they pay Hopelands a visit. I would be confident that any parent who is passionate about their child’s development and education would struggle not to embrace the school, its staff and its nurturing ethos immediately”. THANK YOU so, so, so much you are the most amazing teacher and you have taught me so well. I didn’t realise just how much of a brilliant teacher you were until I came here to my secondary school. None of the teachers are a spot on you, I hope you are proud of yourself. All three of us from Hopelands are getting involved in the sports teams and are in A team for netball, A / B team for hockey and have had an email about competing at an indoor athletics tournament. I am going to the Tewksbury Cross country event and that is from you doing all the cross country with us (those killer hills) has made me such a better runner! The running at our school you would be appalled at – we don’t do any!! But because of you, I have been inspired to run at weekends – all because of you! I would like to thank you on behalf of all of the 2017 leavers and hope you carry on being AMAZING and as inspirational as you are! !